Taught in our Ofsted Registered premises, by Maths specialists, our Secondary Maths programme aims to push students ahead, keep them up to speed or help them prepare for their GCSE Maths exams. In the last 5 years we’ve seen just how beneficial supplementary tuition can be. The confidence it can bring. The increased love for learning. We’ve seen many students improve their confidence and enjoyment of Maths, sometimes so much so that school teachers have noticed and applauded the improvements. Whether your child has just started in Year 7 or is near to sitting their GCSEs, we’re sure we can help them. "It was thanks to Paro Tuition that my daughter received top grades in Maths, there support and dedication was second to none..."
"Fazel is a God saint, if not because of him, my son would not have gotten highest mark in Maths and English, because we just move from..."
"Helped my 15 year old son prepare and revise for his maths exams. Gave him the confidence he lacked, and taught him in a very clear..."
As a supplementary education service, we have to be very efficient with our teaching time. That’s why we’ve developed a strategy that cleverly complements students’ school education while being suitable for students of all abilities. 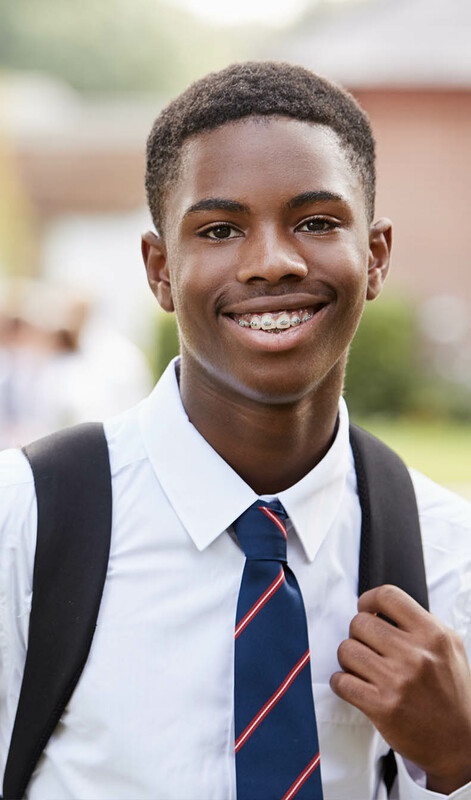 Your child’s safety is our first priority so you can rest assured knowing that all of our staff have the required background checks and experience of working with children. We believe that having in-depth subject knowledge and experience is infinitely better than being a ‘jack of all trades.’ As a result, you can be sure our Maths tutors have a strong mathematical background and know their subject from back to front. We’ve seen firsthand how students’ confidence can grow as they improve in their Maths. This increased confidence typically leads to a greater enjoyment of learning within school, as well as more positive feedback from teachers. 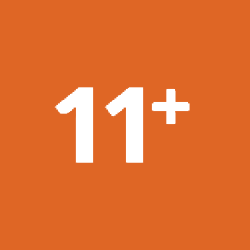 Parents can rest assured that our tutors will keep you regularly updated on progress and on topics taught. We’ll also sit down every so often to discuss realistic short and long term expectations. For GCSE Maths students, our tutors will cover plenty of exam questions and exam technique at the appropriate time. We’ve seen results improve greatly from doing this in the past. We differentiate our teaching. This allows us to make sure that students are getting help where they need it the most and are taught in a manner suitable to them. Our dedicated premises is the perfect place for students to come and learn. Students and staff benefit from having all of the necessary books, resources, stationary and teaching equipment at their finger tips. Homework will be set weekly based on what was taught in that lesson. Over the years we’ve found this significantly helps retention and learning for all students. A few years ago there was a major change in the Maths curriculum all the way from Year 1 up to Year 11. This change has meant there is far more to lesson but also far more problem solving. These changes have meant that we’ve had to adapt our teaching methods to continue to get great results. with an extra focus on the areas students find most difficult. Over years of teaching and observation, we’ve been able to see the areas of the curriculum that students find challenging – whether the students are working behind, ahead or at an average level. Broadly speaking we’ll cover the Key Stage 3 national currculum for students in Year 7 and Year 8 but the actual topics are adapted to the ability and current working level of the student. For students in Year 9, Year 10 and Year 11 we start putting more of a focus on the areas they need to cover for their GCSE exams. By this time students will be seperated into Higher or Foundation allowing us to further diffreniate the teaching. Above all, every student will do a healthy dose of recap work and problem solving to ensure that they’re developing the skills required to tackle a broad range of questions. At Paro Tuition though, it’s not just about what we teach but also how we teach. We’ve come to realise that the best Maths teaching is still largely based around traditional methods: whiteboards, textbooks and breaking down complicated concepts into more manageable chunks. We’ve found this approach to work well and some of the latest research agrees with us. Our teaching methodology is tried and tested so you can be sure we’ll get the best out of your child no matter their current working level. Like all of our staff, our Secondary Maths teachers have plenty of experience in teaching students in the past. Some still actively teach in schools and have done for many years. Collectively we all have a deep understanding of the curriculum being taught as well as the needs of different students. Fazal is the Founder and Director of Paro Tuition. After attending Gravesend Grammar School he went on to study for a Masters Degree in Engineering at a top university. Since graduating, over 5 years ago, he has taken it upon himself to teach, guide and advise students all the way from primary school up to university graduation and even subsequent full time employment. We make sure that students are taught to their ability and needs. This means that everything we cover will be useful to them. Our careful observations over the years have allowed us to predict with great accuracy the areas that students are likely to find most difficult so these are where we spend most of our teaching time. It also allows us to be more efficient with the limited tuition time that we have. The one area that we’ve found that all students benefit from, however, is to increase their problem solving skills. This is something that we cover through out the year for all students. Improved understanding with revision, recap and exam practice. Over the years we’ve observed that great teaching is by iteself not enough to ensure progress. We’ve seen that some topics needs to be revisited again for students to completely understand them so we make sure that this is done at apprpriate times through the year. As well as this GCSE students will receive a healthy amount of exam practice and develop their exam technique. This helps students to develop a great understanding of what questions are actually asking for without them knowing which skills to use beforehand. Start things off with a free consultation. The first step is simply to pop in or to contact us to discuss your needs. At this point we’ll book you in for a more formal consultation, at our centre in Gravesend, in which you get to a chance to understand more about the way we work and what we can do for you. It’s a great opportunity to ask us about any further questions that you might have. We’ll also agree a time slot for an assessment so that we can get to know more about your child’s ability. Our thorough assessment will tell us the capability and current level of your child. 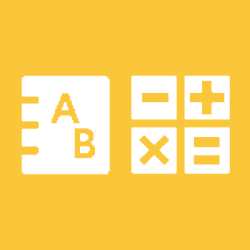 We’ll assess the strengths and weaknesses (if any) of your child in Maths compared to what’s required by the national curriculum for students of their age group. We’ll also observe other aspects of your child’s learning such as their focus and natural ability to learn new concepts. This helps us to decide the best way forward for your child. Students attend our centre once or twice per week as advised after the assessment at an agreed time slot. Our structured teaching system is design to be followed weekly with homework being set after every lesson. This ensures that we cover everything needed to prepare for the tests. Video lessons can be used to recap the things that have been taught in the week and to help students complete the homework. We encourage parents to get involved where possible. We also provide book recommendations for parents wanting to do extra work during the week. Keep informed on student progress throughout the year. We’ll give you the opportunity to have a formal sit down at various points throughout the year so that you can get a clear idea on how well your child is understanding the content being taught and how well they are progressing overall. This is a great opportunity to discuss if anything more needs to be done to increase their rate of learning and to discuss future expectations. Put simply, this means that we’ll continue to keep finding ways to improve our teaching and results year after year, student after student. As well as this, we don’t take a one size fits all approach. Our teaching is differentiated for the ability and the current working level of the student so you can be sure your child is well supported. Ofsted inspect and regulate services that care for young people and children as well as services that provide education. As an Ofsted registered tuition centre we have to ensure we meet the highest of standards. 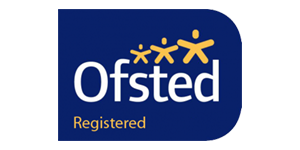 Being Ofsted registered also means you may be able to get significant discounts on tuition provided by us through schemes like Childcare Vouchers and the new Tax-Free childcare. You could also get support if you receive Working Tax Credits or Universal Credit; essentially it works just as if we are providing childcare. We've done our utmost to make tuition more affordable for everyone. We believe that a good education should be accessible for everyone. This is why we’ve found a way to make our services very competitively priced. The cost of tuition with us starts from just £15 for an hour long session every week. With this, students gets the benefit of being taught by an experienced, knowledgable tutor who will observe their progress. We also provide any stationary and writing books that are needed. As we’re also Ofsted registered, the use of Childcare Vouchers/Tax-Free Childcare schemes could enable you to save 20% or more on the price of tuition. As well as this, the childcare element of Working Tax Credits/Universal Credit and the Childcare Grant for full-time students could enable you to save if you’re eligible. This could be as much as 70% for Working Tax Credits and 85% for Universal Credit. In addition, parents can benefit further by taking advantage of our discounts on books. All in all, we’re likely to be far more affordable than you think. Just get in touch to find out more or to start your free assessment. Will all children be learning the same thing? The teaching is differentiated for the ability of the students so the work covered will be adapted to their weaknesses. We’ll also progress at a pace appropriate for that particular student. Students in grammar schools and top sets will typically be pushed at a faster rate whilst students finding Maths more challenging will be working at a slower pace. The rate at which we work will be decided after our initial assessment. We do this by adapting our teaching methods as well and doing recap work with students who are struggling a little more as they often don’t retain new knowledge too well. Will children be learning the same thing with you as they do at school? It’ll be a bit of a mix. At times we’ll cover the same topics as they are in school but for most of the year, we’ll likely be covering topics at different times. The reason for this is simple; it’s almost impossible for us to keep up with the pace in schools due to our limited teaching time and the fact that we often go into further depth to ensure that students understand what they have learnt. It’s nothing to worry about though, you’ll find that over a longer period of time we’d have covered more or less the same things as schools. When is the best time to start Maths tuition for children in secondary school? With most children, the sooner you start, the better! We have many children starting in Year 7 who carry on all the way through to their GCSE exams in Year 11. We also have many students continue with tuition from Year 6. We’ve found that in most situations students of all abilities can benefit from extra tuition. My child's Maths teacher says they are doing ok, do they still need tuition? This depends on your own expectations and how the school are providing their feedback. Some students will still receive positive feedback as long they are completing homework and class tasks well even though they may be struggling with problem solving. Often schools set target grades from Year 7 initial assessments based on averages of students in past years but there’s no reason that students can’t achieve higher grades with a little more support. Even if your child is getting good feedback, it’s likely that we can help them with areas that they’ve struggled on, with their problem solving or simply to push them further ahead. How many hours of tuition do you recommend per week? We typically discuss this after carrying out our initial assessment. For most students we find one lesson, with homework, every week is sufficient to see good progress. Specific recommendations can only be given once we have assessed the current level and ability of your child. Do you cover preparation for the GCSE exams? If so, what exam boards? We cover preparation for both Higher and Foundation students. Typically, our teaching for the GCSE maths exams actually starts in Year 9 (as in schools) and runs all way through until the exams are finished in Year 11. All of the major exam boards are covered within our teaching and preparation including Edexcel, AQA and OCR. Will students get to do practice papers? At certain times of the year we ramp up exam practice and exam technique so that students get a feel for how questions could be asked. We also cover problem and reasoning throughout the year all the way from Year 7. This is a big part of not only preparing for the exam, but increasing overall maths ability. Many people are unsure wether or not students are performing to the level expected of them in Maths and we often see a late surge in student numbers after their mocks. Why leave it so late when our excellent teachers are able to help students develop their skills right the way from Year 7? No matter what year your child is in, we’re sure we can help. Our specialist teachers know where students struggle, the mistakes they make and how to correct them. When am I ever going to use algebra or trigonometry?! This is just one of the many questions our students often ask us without realising the fundamental use of Maths to real world applications. For engineers, economists, computer scientists, it’s a fundamental area of their teaching that they rely on. That’s why, we believe, that it’s important to develop the skills and mindset required as soon as possible. The secondary school and GCSE Maths curriculums have become far greater and more challening in the last few years meaning that teacher have to work at a much faster pace to cover the content. This makes it difficult for some students to achieve a passing grade. That’s where we come in. We aim to help schools and teachers by providing extra teaching on the areas that students struggle with the most. Whether students are working behind, as expected or even working ahead, there’s something more that can be done to enhance their Maths skills. Our specialist teachers know where students struggle, the mistakes they often mistake and how to correct them. Like all things in education, improvements don’t happen overnight but stick with it and we believe your child will become more comfortable with Maths, setting themselves up for for future success. We're glad that you're interested in finding out more about our Secondary Maths tuition. Contacting us is simple. Just click in the box below to chat to one of our staff members who will be happy to answer any questions you have. Alternatively why not email us? 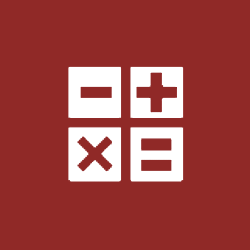 Start your Secondary Maths tuition free assessment and trial. We're glad that you're interested in meeting one of our Maths experts. Contacting us is simple. Just click in the box below to chat to one of our staff members who will be happy to book you in.